Everyone has a dark side, no matter how deep it is buried, it is still there. Turns out cakes have a dark side too and we like it, we like it a lot. 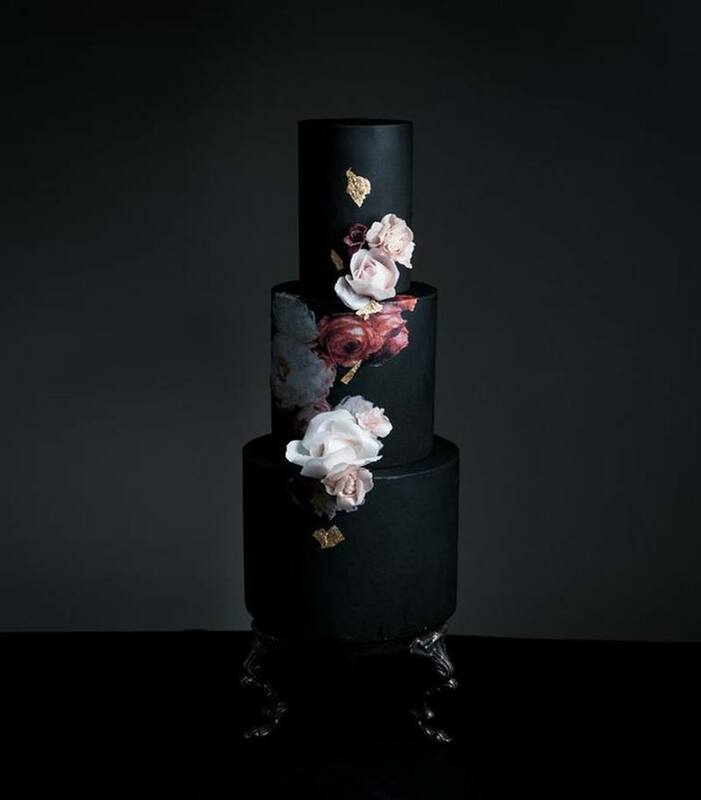 One of the hottest wedding trends this year has been dark wedding cakes. 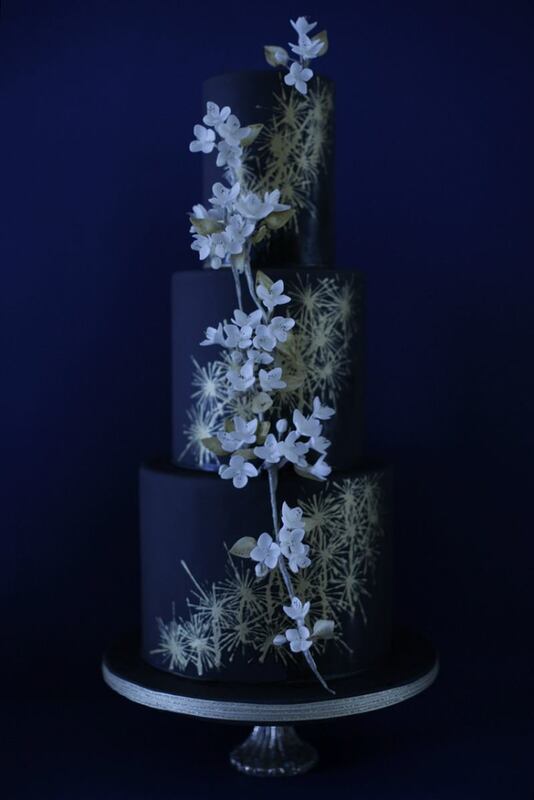 They’re bold, striking and while white wedding cakes are undoubtedly beautiful, dark cakes make a bold statement that white wedding cakes never could. 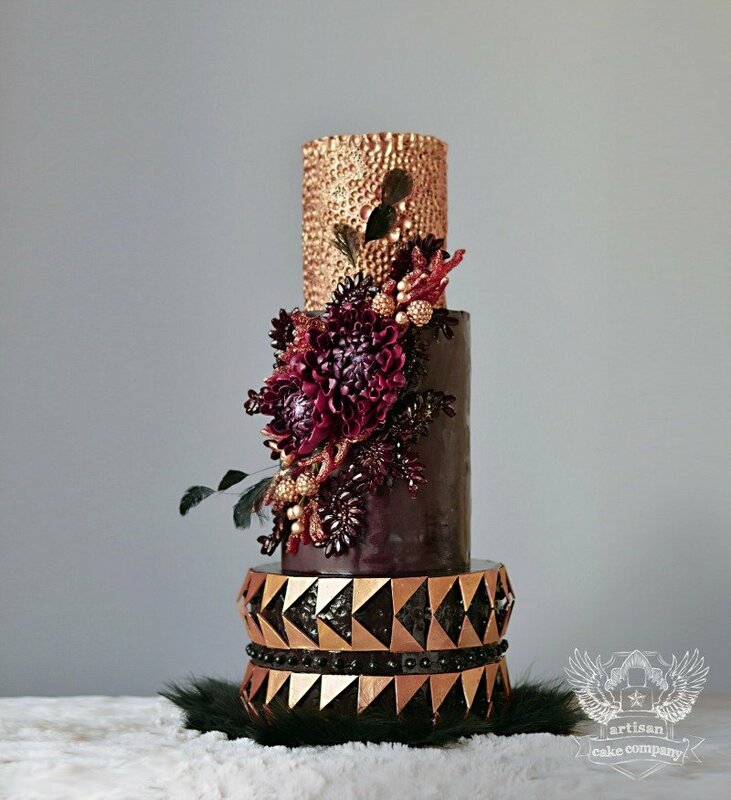 Let me take you through 10 unique dark wedding cakes and see if you don’t just switch sides, even if it’s just for a little while. First up is Liz’s most recent cake, a wedding cake for a friend who gave her complete creative freedom. It’s almost like a fight of dark against light and dark is winning. You have to admit, this cake would not be nearly as strking if it were all white. This is another one of Liz’s cakes that I couldn’t resist adding to this post. It’s one of my fav’s of hers and definitely fits the category. The design, detail and coloring are genius, I can’t even. 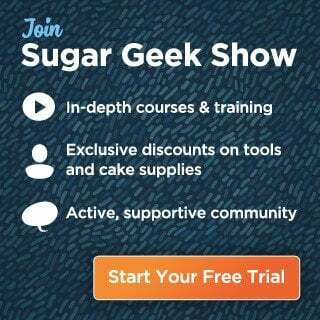 The fabulous Stevi Auble of Hey there, Cupcake! 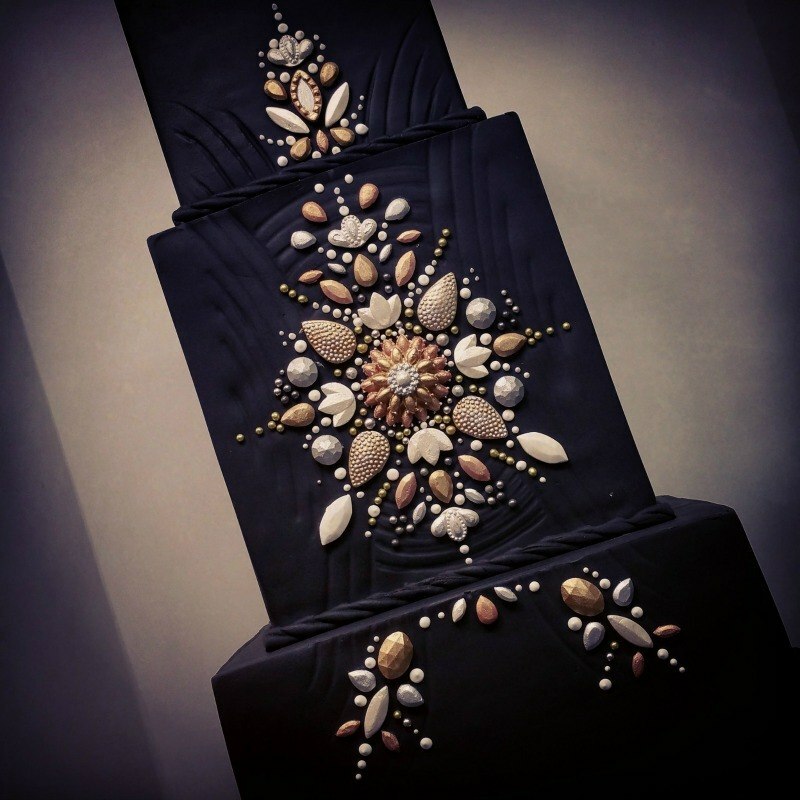 is a master of dark cake designs. How does she do it? So simple yet so impactful! 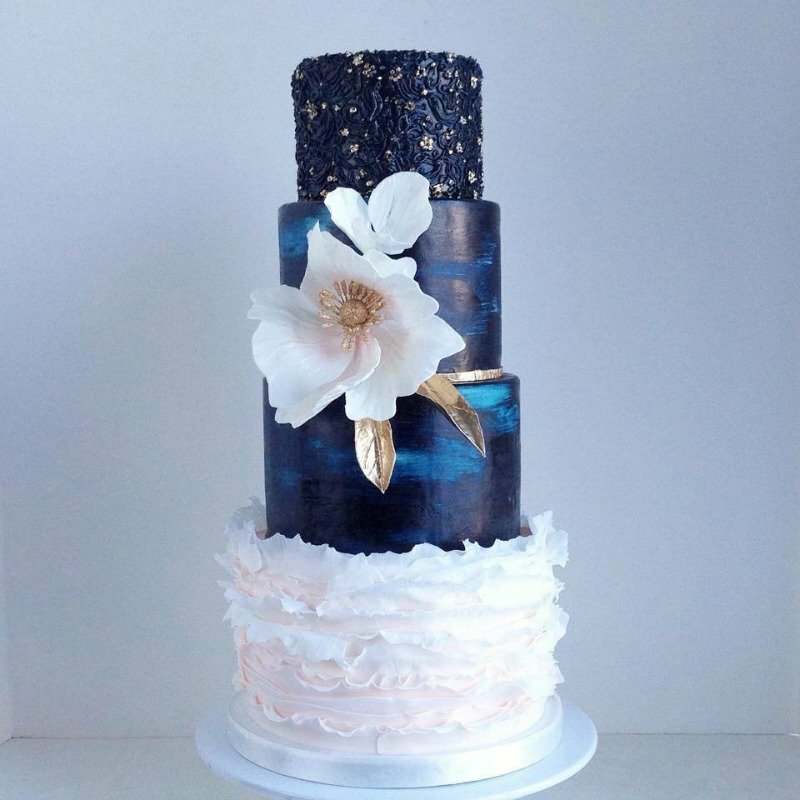 The use of dark blue in this cake is stunning. I literally can’t move. This is another blue beauty that really gets me. That navy is an amazing backdrop for that unique hand painted metallic pattern. Add the white flowers and metallic leaves and you have modern art at it’s finest. Eva Salazar is also know for her genius bold designs and this one is no exception. 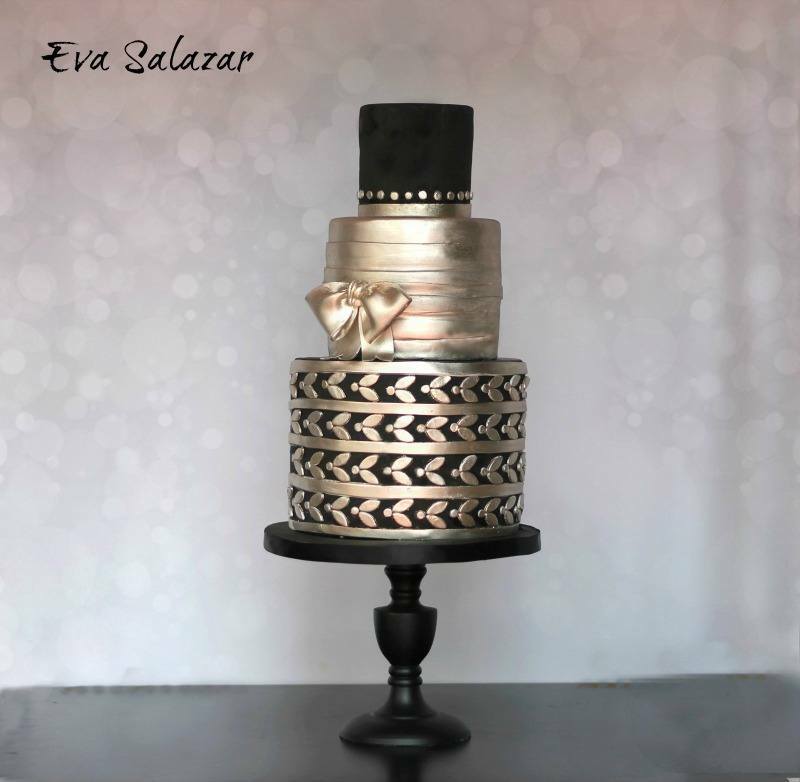 This is a wonderful black cake with a Gatsby feel. Again, white would just not do what the black does for this design, absolutely gorgeous! These last three are all entries from this years Grand National Wedding Cake Competition at OSSAS. All three received awards and it is easy to see why. 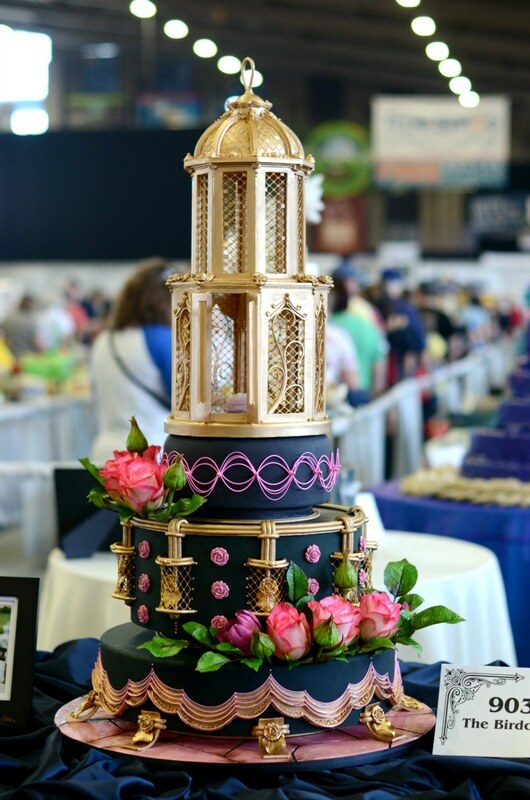 This is Sarah Myers’ of High Five Cakes entry that earned a silver medal. I couldn’t be more in awe! The details are cray-zay! It has a lovely vintage Russian folk art theme and couldn’t be more charming. 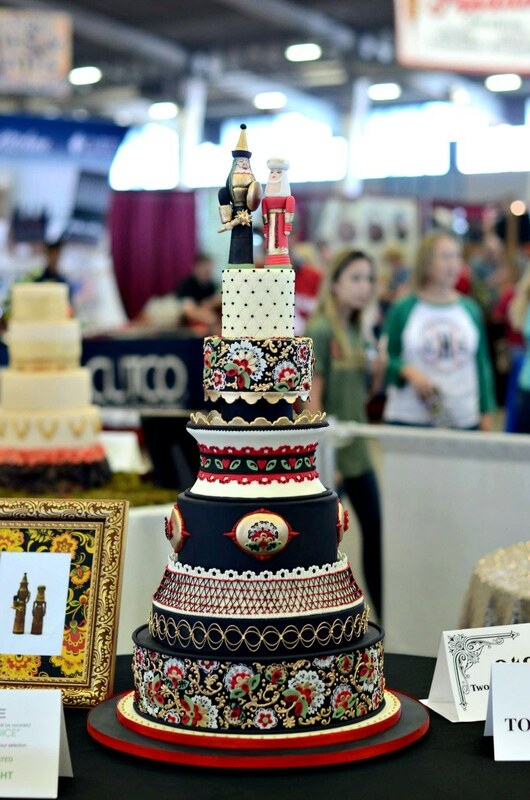 This beauty belongs to Patty Stovall of Patty’s Cake Designs. 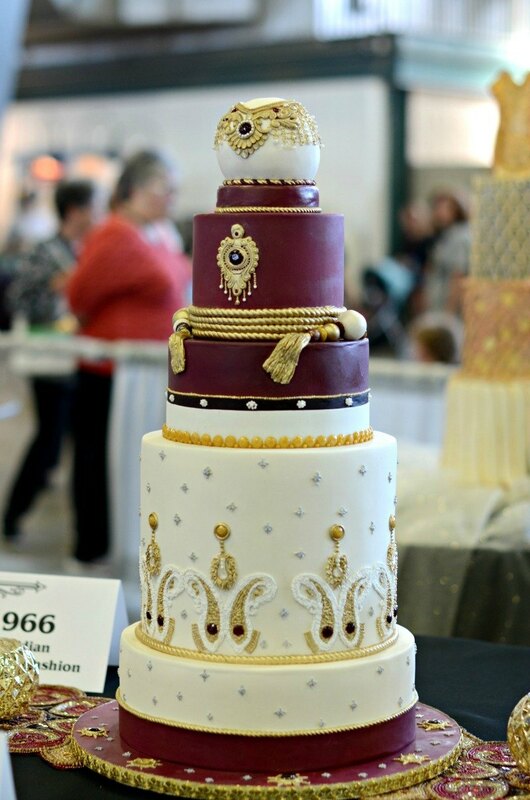 It received a bronze award and is definitely one of my all time favorite Indian themed cakes! LOVE that burgundy color. 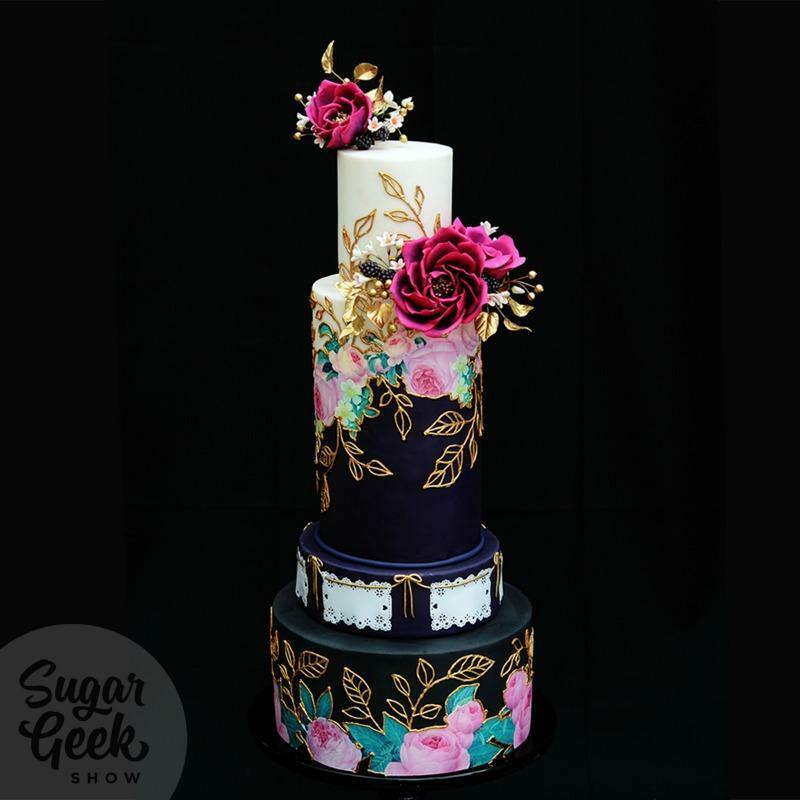 This masterpiece was created by Antonio Balbuena of The Sugar Piece. Also a silver medal winner, it is an absolute work of art. The dark blue really makes everything pop! Is it legal to use fresh flowers on a competition cake you ask? No it is not, those are sugar too. Yeah, I haven’t picked my jaw up yet either. I think I have proven my point that the dark side can be better. Don’t be scared of it, unleash your inner darkness! You know you want to.